The Coronary Care Unit (CCU) provides the highest level of care for patients suffering from acute cardiac conditions such as acute coronary syndromes (Myocardial Infarction, Angina), Acute Heart Failure, Acute Cardiac Arrhythmias, etc. 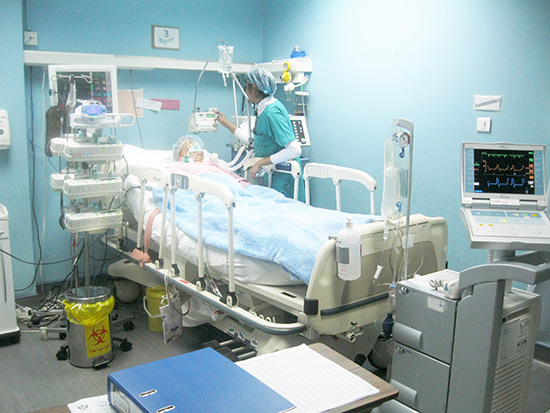 The Unit is equipped with the most up-to-date medical facilities such as advanced intensive care beds, advanced ventilators, advanced cardioversion/ defibrillation devices, crash cart and special monitoring systems. The Unit encompasses eight beds, among which one bed is designed for isolation cases.